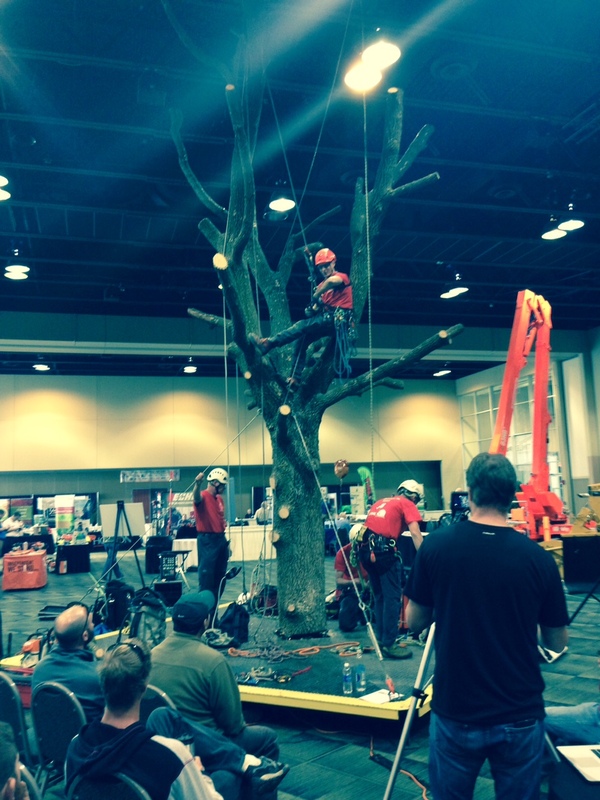 The Demonstration Tree was the center of exhibit floor education for climbing and chainsaw maintenance tips. Members of the Illinois Wood Utilization Team (IL WUT) were active participants at the Illinois Arborist Association’s 33rd Annual Conference and Trade Show, Oct. 19-21 in Tinley Park, IL. IL WUT showcased 20 board samples of urban wood lumber at its exhibit booth, including ash, red and white oak, elm, cherry, box elder and more. 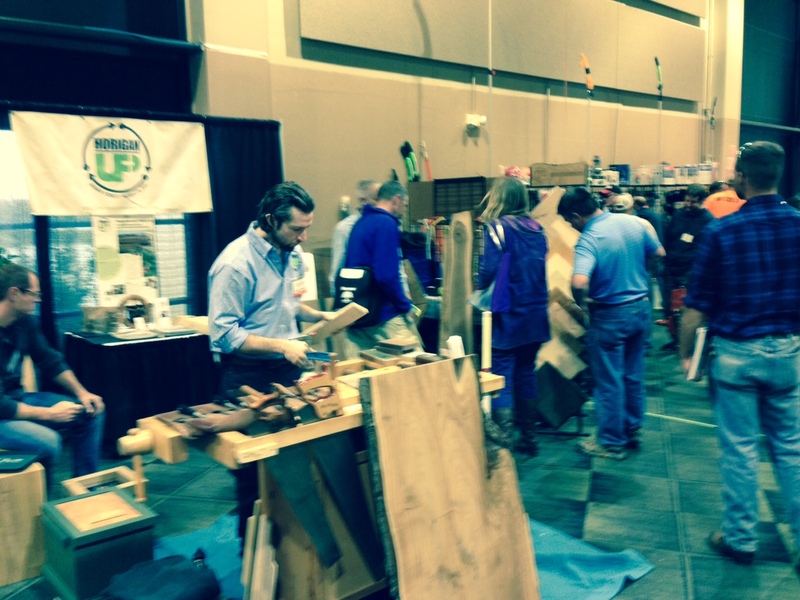 Arborists and other attendees who visited the IL WUT booth got a hands-on opportunity to see and feel high-quality lumber sliced from felled urban trees. IL WUT is a strong advocate of putting urban wood trees lost to insect infestation, weather, old age or other end-of-life causes to their highest possible use. This includes the potential for using locally sourced urban wood to manufacture cabinets, furniture, flooring and other wood products such as the ash “Wonderboy” baseball bat that drew a lot of attention at IL WUT’s booth during the show. 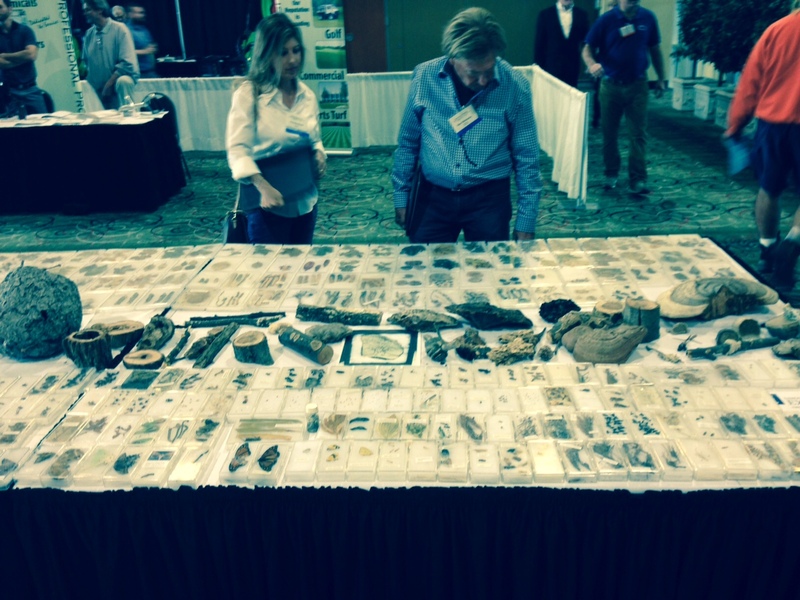 The IAA Conference & Tradeshow drew hundreds of municipal and commercial tree care specialists from throughout the state. Many of the attendees took home a flyer passed out at the IL WUT booth promoting the “Bringing the Urban Forest Full Circle” conference scheduled for March 18, 2016 at Hamburger University in Oak Brook. The unique event will provide a vital forum for all urban forestry stakeholders to address the steps needed to create and sustain a viable value-added market for urban lumber. Several IL WUT members’ organizations exhibited at the show, including Peggy Drescher, Midwest outreach coordinator of the Tree Care Industry Association; Bob Benjamin, outreach coordinator at USDA/APHIS/PPQ and Bruce Horigan, owner of Horigan Urban Forest Products. IL WUT members lending a hand at the IL WUT booth included Rich Christianson, IL WUT conference director; Paul Deizman, CF, forest stewardship & forest legacy of IDNR; Tom Gargrave, regional forester for IDNR; Steve Lane, GIS coordinator for Graf Tree Care; and Jim Semelka, arborist for Sterling Tree Solutions. 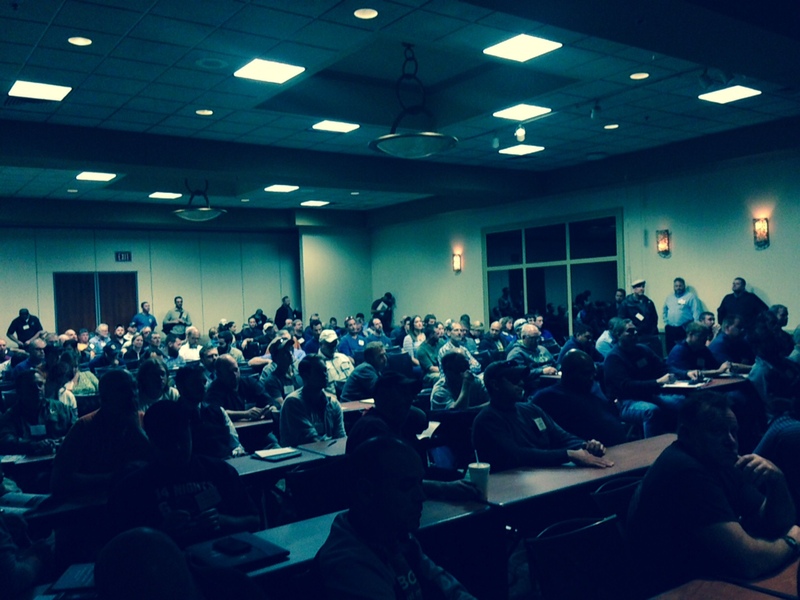 The IAA Conference ran three days with presentations devoted to topics including Electrical Hazard Awareness Program, Tree Disorder Diagnosis, Status of Urban Forestry in the State of Illinois and Oak Forest Restoration Along the Rural-Urban Interface. For more information about the Illinois Arborist Association, visit http://illinoisarborist.org. Horigan Urban Forest Products’ booth attracted steady crowds during the two-day tradeshow. The ever-popular Quiz Table tested attendee knowledge on trees and more. A seminar on “Status of Urban Forestry in the State of Illinois,” presented by Steve Ludwig, Village of Algonquin, packed in a standing-room-only crowd.